Need to quickly share files between two Windows 10 computers? Don’t want to use third-party software or cloud file storage services to transfer files between Windows 10 PCs? 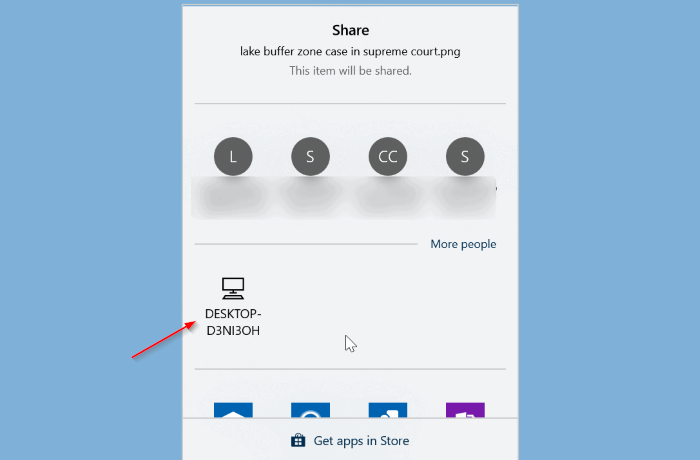 In this guide, we will see how to use the built-in Nearby Share feature in Windows 10 to share files between computers. 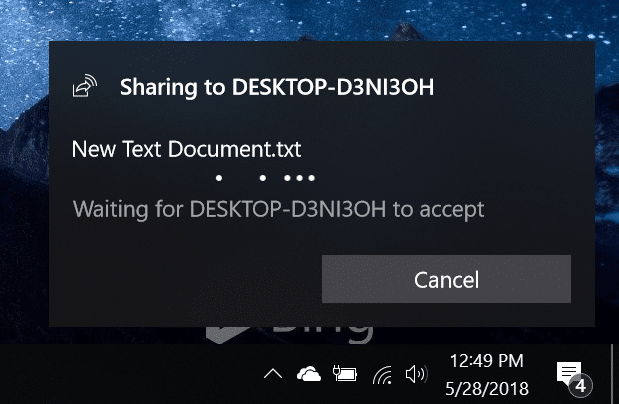 Nearby Sharing is one of the many features introduced with Windows 10 April 2018 Update (version 1803). 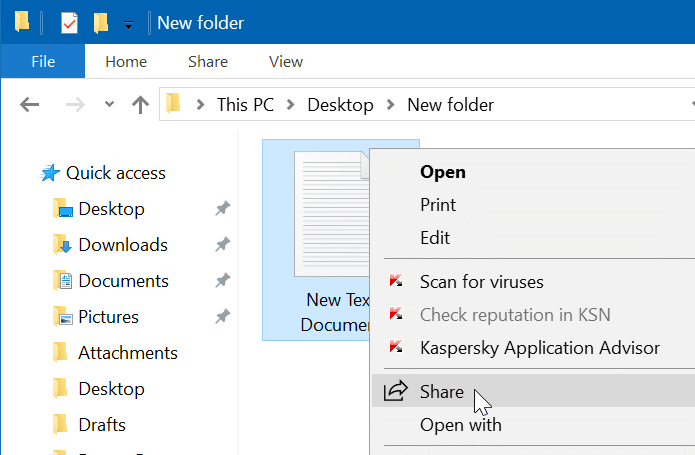 The feature enables you to share files between two computers running Windows 10 version 1803 or above. It’s pretty much like the AirDrop feature found on Apple devices. Nearby Sharing feature is helpful to share files with nearby devices using Wi-Fi or Bluetooth. It’s worth noting that the Nearby Sharing feature doesn’t use your internet bandwidth. In fact, your PC is not required to be connected to a Wi-Fi network to use this feature (it will use Bluetooth when both PCs are on the same network), but we recommend you to connect both your PCs to the same Wi-Fi network for faster file transfer rate. There seems to be no size limit for files as we were able to share a 700 MB file without any issues. For the record, it took about 4 minutes to transfer the 700 MB file. Requirement 1: Both PCs must have Bluetooth 4.0 (see how to check Bluetooth version in Windows 10) or later with Low Energy support (refer to Nearby Sharing not working guide for directions). Requirement 2: PCs must be running version 1803 or later versions of Windows 10 to send or receive files. 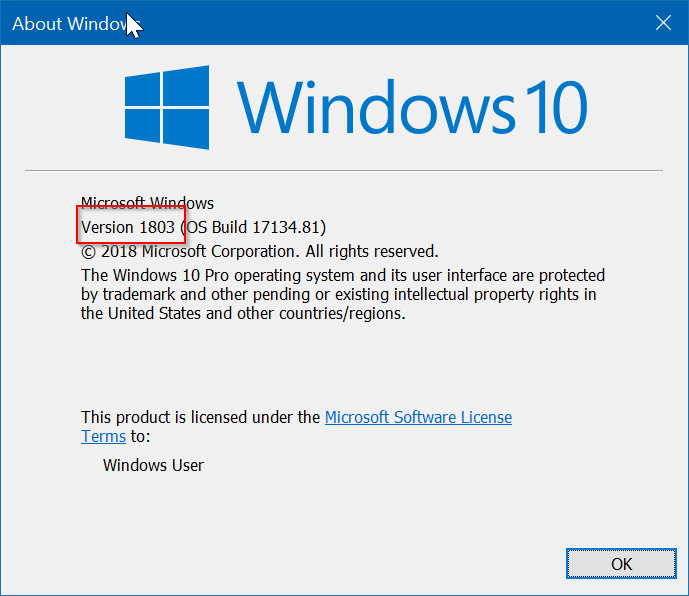 Upgrade to Windows 10 version 1803 if you are on an earlier version. Requirement 3: PCs must be in the Bluetooth range. Typically, PCs in the same room are easily detected by Bluetooth. 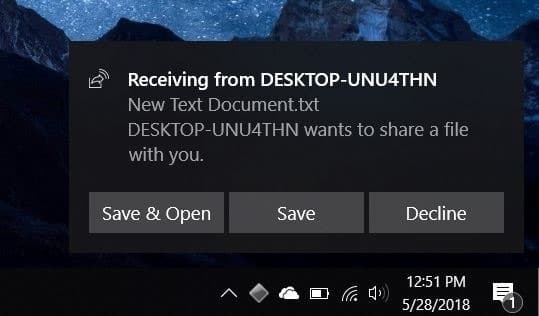 Complete the given below directions to share files between Windows 10 computers using the Nearby Share feature. 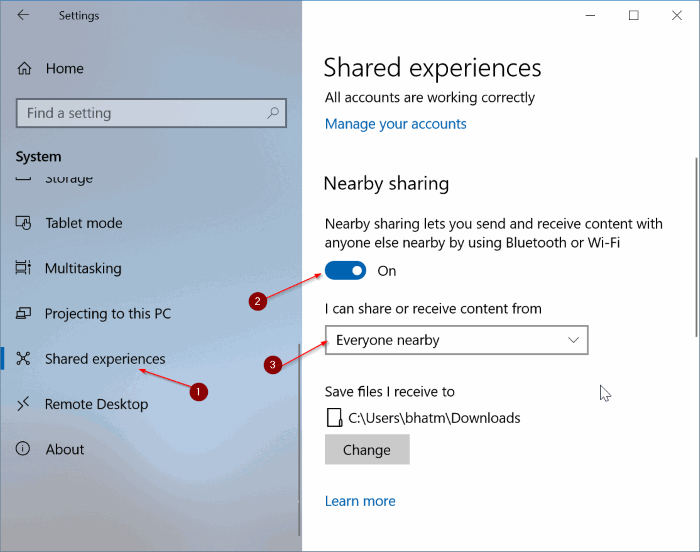 IMPORTANT: If you experience any issue while sharing files, refer to our Nearby Sharing not working in Windows 10 article to resolve the issue. Step 1: The first step is to make sure that your computers are running 1803 or later version of Windows 10. To check that, type Winver.exe in Start/taskbar search field and then hit Enter key. Step 2: We recommend you connect both PCs to the same Wi-Fi network for faster file sharing (it doesn’t use your internet bandwidth). When PCs are not on the same Wi-Fi network, Nearby Share feature will automatically use Bluetooth to share files. As you likely know, Bluetooth file sharing is generally slower than Wi-Fi. Step 3: On both PCs (the one that you are sharing from and the one that you are sharing to), navigate to Settings app > System > Shared Experiences. Turn on Nearby Share option to enable the Nearby Share feature on your PC. Do the same on the destination PC as well. Select Everyone nearby from “I can share or receive content from” drop-down box if you want to share or receive files from PCs that do not belong to you. Step 4: Right-click on the file that you want to transfer and then click Share option to reveal the Share flyout. Step 5: Windows 10 will now start looking for nearby devices. Your other PC (destination PC) should now appear in the list. Click on the PC to begin transferring the file. Step 6: On your destination PC, you will see a desktop notification with Save & Open, Save and Decline options. Click Save, or Save & Open to save the file. Please note that the notification might disappear after a few seconds. If you cannot find the notification on the desktop, click on the Action Center icon on the taskbar to see the notification. All received files are saved in the Downloads folder by default. You can change it by navigating to Settings > System > Shared Experiences and then clicking the Change button under Save files I receive to section.